Where did you go 2015? How are we already at the final PPV of the calendar year? It seems like only yesterday, Justin, Scott, The Cowboy, myself and several other members of the nation crammed into taxis in Philadelphia, ate our collective body weights in cheesesteaks and screamed our lungs out counting down the next entries into the Royal Rumble. Now fast forward several months and many of us are doing it all over again this time from the TD Garden in my back yard of Beantown. I hope my guts can handle the countless chicken wings and Dunkin iced coffees I’m going to consume in the next two days. With that said, it’s great to have you back in the good old preview center. I sadly had to downgrade myself from questionable to out last month due to the vaunted “flu-like symptoms.” I’ll spare you the details though thankfully it wasn’t as bad as the time Warrior got cursed by Papa Shango mercifully. Because of countless injuries and an extremely short bench, this card has a “booked on the fly” feel to it. Insta-feuds galore which could lead to some unpredictable finishes. As always, what follows is my commentary for each match followed by a number of lackluster predictions. 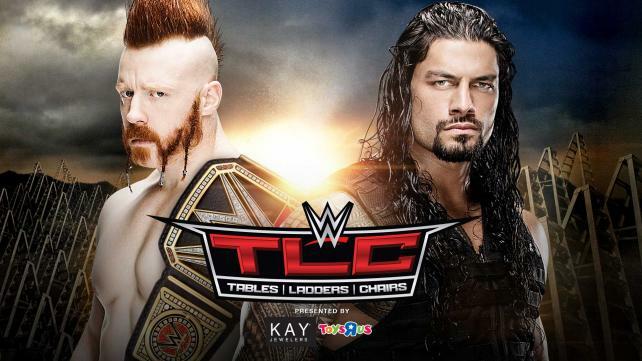 Will this be the night Roman Reigns finally gets the BB gun he always wanted for Christmas? Let’s find out shall we! Remember when Kevin Owens won the IC title and we thought he’d do for that belt what he did for the NXT Championship? He would dominate the midcard and make that championship even bigger than previously imagined. Eventually he would parlay that success into the WWE World Heavyweight Championship and maybe have a go with Brock Lesnar at WrestleMania? Well some of that still might happen but the Intercontinental Championship still has some growing up to do. Their tournament match at Survivor Series was terrific and I would be shocked if they didn’t crank it up a few more notches as the semi-main event attraction in Boston. You want to talk about a guy who is due for bigger things, Ambrose has come so close on two separate occasions this year of winning the company’s biggest prize. Win or lose, this guy remains so over with the fans and he is constantly abusing that lunatic body of his. They should put him in a straight jacket just to protect him from himself. And now, our main event. Since I started writing these previews, I can’t remember a time where I’ve been so torn over the outcome of a match. As a Roman Reigns guy, I know what my heart wants. This neverending screw job needs to end. I’m sick of the cash in finishes, The Authority sticking their noses into every World title story, he backstage bickering over whether Roman is ready or not. I’ve had it with this crap. But still, I’m torn. 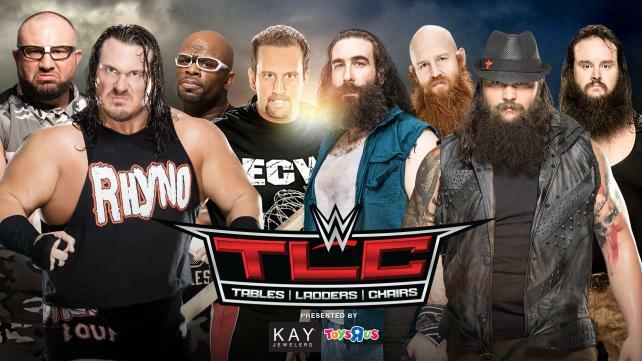 TLC isn’t WrestleMania but it’s not a throwaway show either. Two years ago, Randy Orton unified the two brand specific major championships in cluster of a match against John Cena. 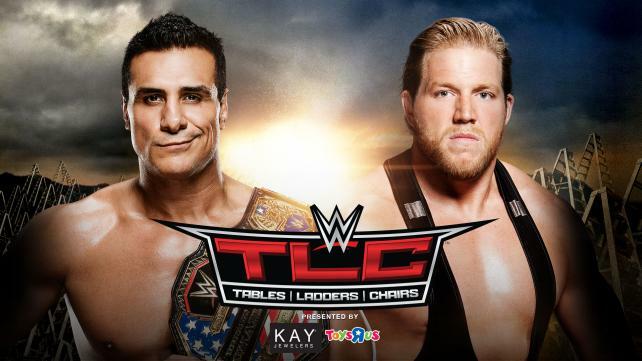 Dolph Ziggler’s memorable 2013 was jumpstarted by a gigantic win over Cena at TLC 2012. My point is, big things like an enormous major title change could potentially happen Sunday to cap off Roman’s roller-coaster 2015. On the other hand, doesn’t it seem like the company is doing everything in their power to back Sheamus as the king of the mountain? He formed a new faction in the League of Nations. They have their own theme music and have fought in several team vs. team matches the last few weeks. 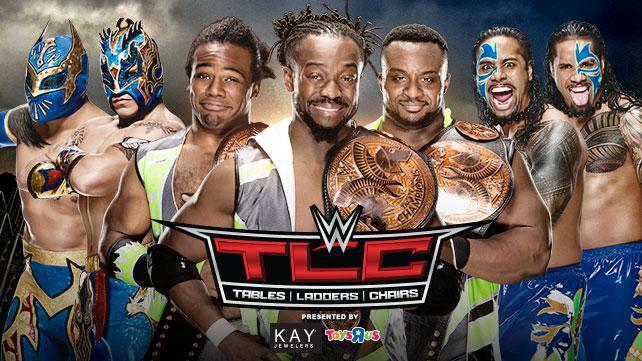 Pair them with the New Day and your have the most powerful force in Sports Entertainment since Nexus? DX? The N.W.O.? It just strikes me as funny if they give Sheamus all this power only to have him lose in his first title defense on the Network. Perhaps I’m overthinking it a tad, but when you’ve had the rug pulled out from under your feet as often as Roman and his fans have these last 10 months, you always have to be on your guard. And there you have it! 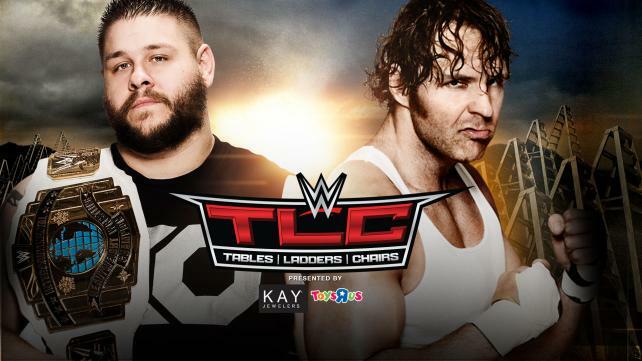 Be sure to follow all the action and analysis from WWE TLC only at Place to Be Nation. Be sure to catch the PTBN Reaction Show Podcast featuring my buddy Will and the gang early next week! Did you like or hate my picks? Tell me about it by following me on Twitter @DmcGP2B. In addition, please subscribe to both the Place to Be Nation Podcast as well as the PWO-PTBN Podcast Network feeds on iTunes for continuous coverage of WWE TLC. Enjoy the show! Dan McGinn is a former Minor League Baseball announcer, a five-star General in the #sweatervestarmy and an all around babyface who you should be happy to take home to dinner. He also happens to write about wrestling.